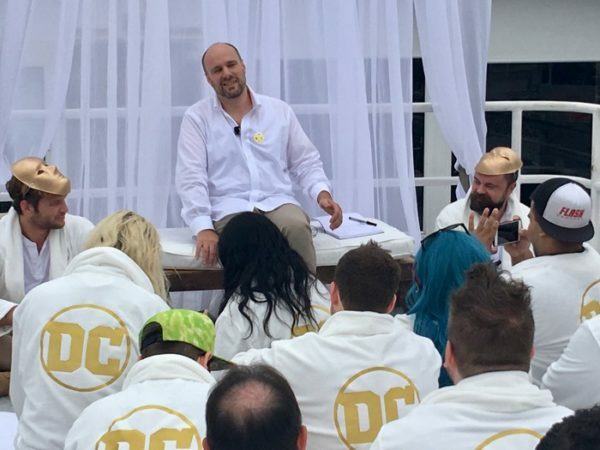 We welcome Tom King back again to hang out and catch up on everything from Batman to Heroes in Crisis and some teases at a future project. Can you guys please ask Mr.King to be less controversial in the big events?? I really think he is at his best when is writting smaller scaled scenes more focused on more simpler characters interections. Like the double with Lois and Clark, or the scene at Bat burgers, and even Batman/Elmer Fudd. Because I don’t think he does big stuff well and I really don’t want to see any thing similar to Harley taking on the trinity by herself ever again. We would never ask a writer to not write how they want to write. We are not all going to like every story but we can’t expect writers to just write what we want.